Steve Harris, senior vice president and general manager of Dell EMC’s federal business, told MeriTalk in an interview published Monday that artificial intelligence, internet of things and software-defined infrastructure are some of the emerging trends he sees in the federal information technology market. Harris discussed the importance of IT infrastructure modernization amid the presence of such tech capabilities. “However, like new improvements in your house, none of this stuff works without a solid foundation, and that solid foundation is IT infrastructure modernization,” he said. “So, there are myriad shiny new objects, and we love them all, but without infrastructure modernization, we can’t afford to transform, and new capabilities will fail to deliver." 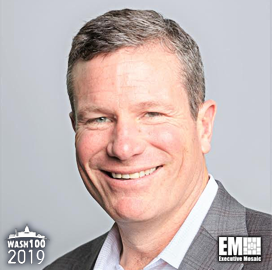 Harris, a 2019 Wash100 winner, cited legacy systems and procurement as some of the challenges in federal IT and shared his views how the Federal IT Acquisition Reform Act and the Modernizing Government Technology Act impact prospects for federal IT modernization. He also mentioned the company’s strategic priorities in the public sector and offered pieces of advice to federal IT leaders as they work to meet the 2020 deadline under the Data Center Optimization Initiative.